“As an intern for the Indian Health Service, I was responsible for helping the Redding district office as a staff assistant to the Division of Sanitation Facilities Construction (DSFC). I assisted with the administration, development, and construction management of some of the DSFC projects. I was also responsible in assisting with the planning/design and contract document generation and construction inspection. 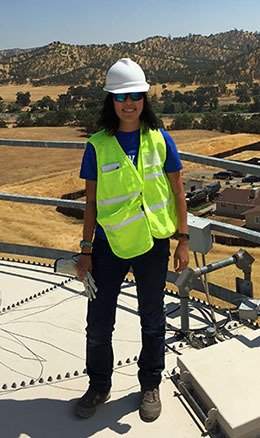 During my summer internship, I learned a lot about the federal government, commissioned officers, and Native American communities; how to interact with contractors and communities; and about hydraulic/environmental and construction engineering. I am so grateful for all the awesome experiences I had during my internship this summer. I really enjoyed going on site visits with my co-workers and learning first-hand how projects come together and benefit individuals and communities. I’m so happy to have been part of a wonderful office who not only taught me about the job, but about life lessons as well.